Carolyn’s book “Medicine Men: Extreme Appalachian Doctoring” was a #5 Wall Street Journal best seller and #1 Amazon best seller in Non-Fiction, Biography, Memoir, Medicine, Science, and Doctor-Patient Relations. “Bear in the Back Seat: Adventures of a Wildlife Ranger in the Great Smoky Mountains National Park” was a #9 Wall Street Journal best seller. It was #1 on Amazon in Biography, Memoir, Science, Biology, Bears, and Travel. Her first book “Heart in the Right Place” was a #7 Wall Street Journal Bestseller and the #1 Amazon best seller in Biography, Memoir, Medicine, and Science. It is on hundreds of lists of best books of the year, best book club books, and funniest books. It was chosen as Family Circle magazine’s first ever Book of the Month and won the Elle magazine Reader’s Prize. The post <p style="text-align:center;font-weight:bold;">#1 Bestseller in Cozy Mysteries! 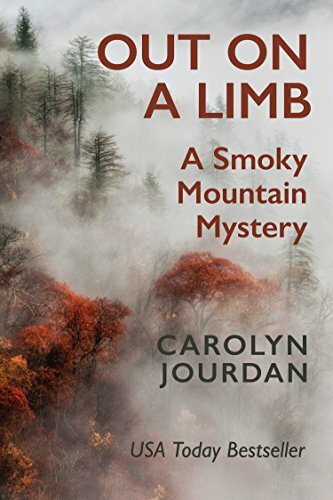 Think CSI meets Animal Planet: Carolyn Jourdan’s <em>Out On A Limb: A Smoky Mountain Mystery</em></p> appeared first on Kindle Fire on Kindle Nation Daily.